Want install Windows Circle Dock bar to Windows Vista and Windows XP, you can download and install Windows 7 Circle Dock Bar software. 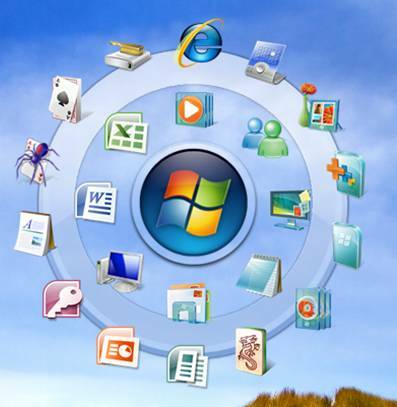 Windows 7 circle dock is beautiful and portable software and its no installation require, you can run this software from portable drive, memory card or from computer hard disk. If you use Windows XP, this software require .net framework 2.0 or above version installed in your computer. You can customize the skin and icon to according to your own preference. 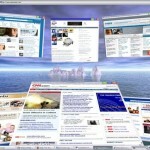 Related to "Windows 7 Circle Dock Bar for Windows Vista and Windows XP"
awesome stuff. I have been following the progress of this software. There is something about the MAC like interfaces that I like to emulate on my windows machine and the linux machine I am running. Yet again stealing ideas from mac! yet microsoft stealing ideas from mac ! lol stealing idéas from apple you say? 1. i doubt this is a Microsoft corp creation, therefore “microsoft” isn’t stealing anything. it’s a application deal with it mac fanboys. 2. a good ideá is a good idéa same as the apps mac user use that orgin from windows. who cares? it’s just 2 different platform that are slightly different. it all comes down to taste (or wallet).